Story: Based on Neil Gaiman's international best-selling book, "Coraline" is the story of a young girl (voiced by Fanning) who unlocks a mysterious door in her new home, and enters into an adventure in a parallel reality. On the surface, this other world eerily mimics her own life - though much more fantastical. 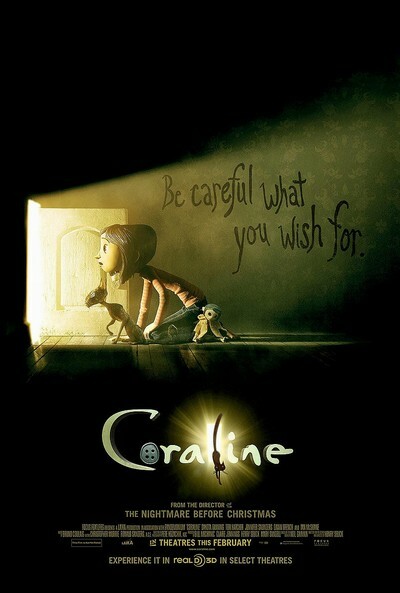 In it, Coraline encounters such off-kilter inhabitants as the morbidly funny Miss Forcible and Miss Spink (French and Saunders), and a counterfeit mother (Hatcher) - who attempts to keep her. Ultimately, Coraline must count on her resourcefulness, determination, and bravery to get back home.